and leave as few of my footprints as possible." co-founders of The Weathers Creek Writers’ Series. Over the last 30 years, she has worked as a reporter and editor at a daily newspaper, a weekly paper and a monthly magazine. 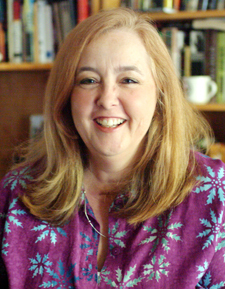 During her twelve and a half-year tenure at Charlotte’s alternative newsweekly, Creative Loafing, she served first as associate editor, then as managing editor and won several awards for feature writing. 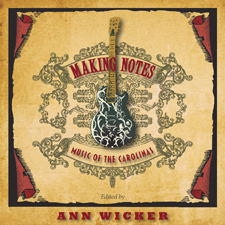 In 2008, Novello Festival Press published Making Notes: Music of the Carolinas, a collection of nonfiction essays and articles about the musical legacy of North and South Carolina. As she developed her idea for the collection, Ann sought out writers and musicians with strong, authentic voices and interesting stories to tell. Making Notes was a finalist in ForeWord magazine’s annual contest for books from independent publishers. As a freelance writer/editor, Ann critiques manuscripts and works with individual clients as a writing coach and copy editor. Her own writing has appeared in Creative Loafing, SouthPark Magazine, Charlotte Magazine, Lake Norman Magazine and other publications, as well as the story/cookbook anthology, Hungry for Home. Ann has been a presenter at the Southern Festival of Books in Nashville, The South Carolina Book Festival and Carolina Writers’ Night. She has served as a reader or judge for contests sponsored by Creative Loafing, Novello Festival Press and the North Carolina Writers’ Network. In addition to her work with the ongoing Weathers Creek Writers’ Series, she returned to her alma mater, Davidson College, in 2006 to teach nonfiction as part of the first Davidson Alumni Writers’ Workshop. In addition, she has taught freshman English at UNC Charlotte. Ann is married to music producer and recording engineer Mark Williams. She is a member of Sisters in Crime, a national organization for mystery writers, and the North Carolina Writers’ Network. “As a writer myself, I am especially interested in pursuing the stories of how people have arrived wherever they are in life,” Ann says. Ann offers a variety of services from a general manuscript critique to a specific line edit plus copy editing. A general manuscript critique involves an overview of the strengths and weaknesses of the plot and characters with some advice as to how improvements can be made. Copy editing and line editing often go hand in hand as manuscripts are prepared for submission to agents. Copy editing involves fact checking, timeline checking and other specifics. Line editing can also include this plus checking grammar, punctuation and spelling. “My overall philosophy for any project is to get in, get out and leave as few of my footprints as possible,” she says. Her long experience as an editor for different types of publications has given her a wide perspective and appreciation for lots of different types of writing.